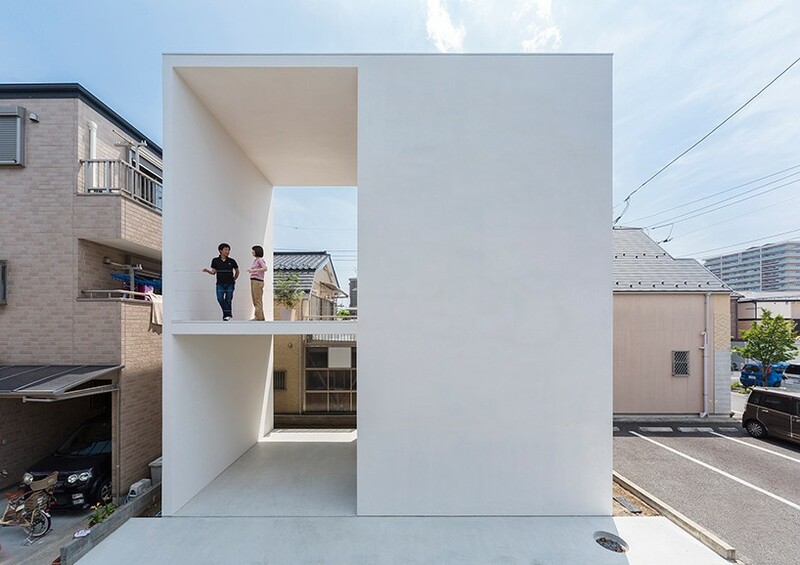 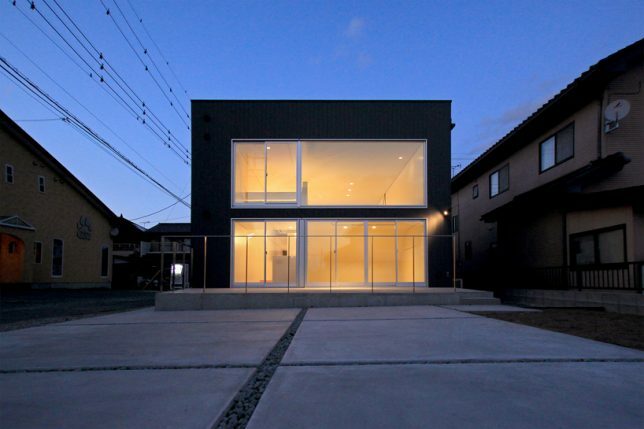 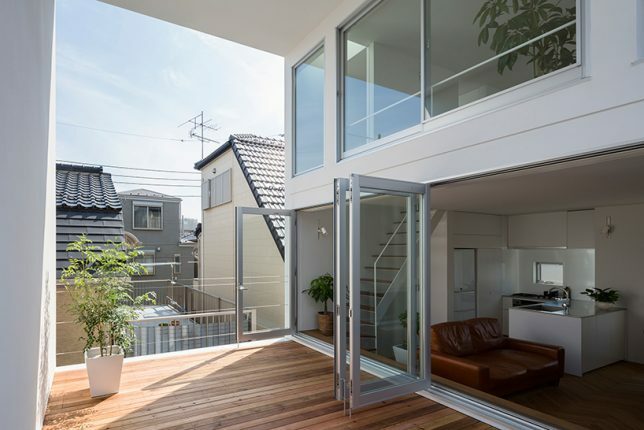 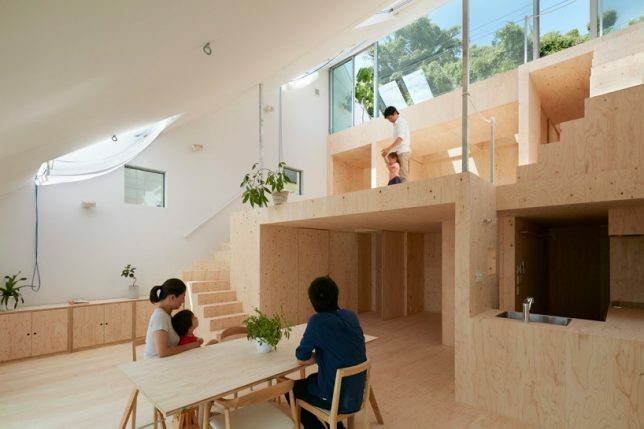 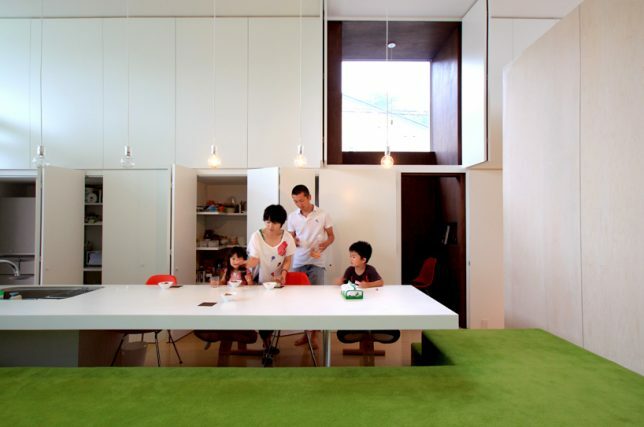 High-density neighborhoods with heavy foot traffic and tiny plots of land in Japan force architects to come up with some clever space-saving, privacy-protecting residential layouts. 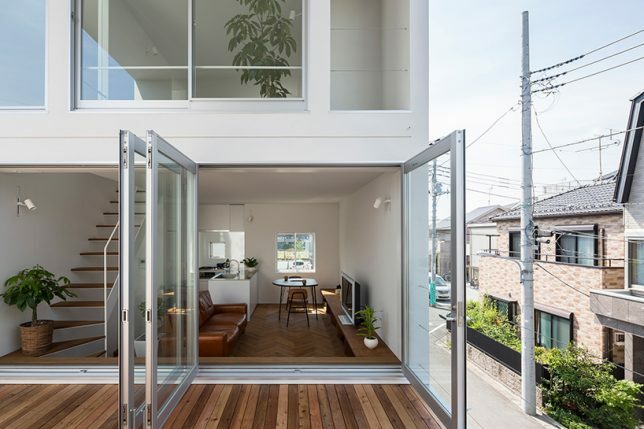 Strategically placed windows, curving floors, translucent panels and hidden terraces are among the innovative tricks in play to maximize daylight and views of the sky while dissuading peeping toms and making the most of every inch of available space. 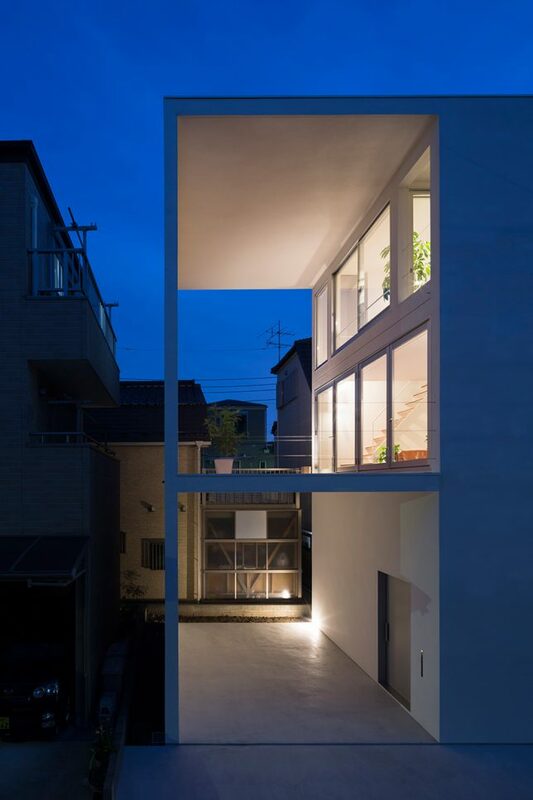 The massive windows on either side of this house on a slope by Tomohiro Hata are strategically located to direct views to the sky and a small back garden, encouraging cross-breezes and bringing slanted rays of light straight through the home. 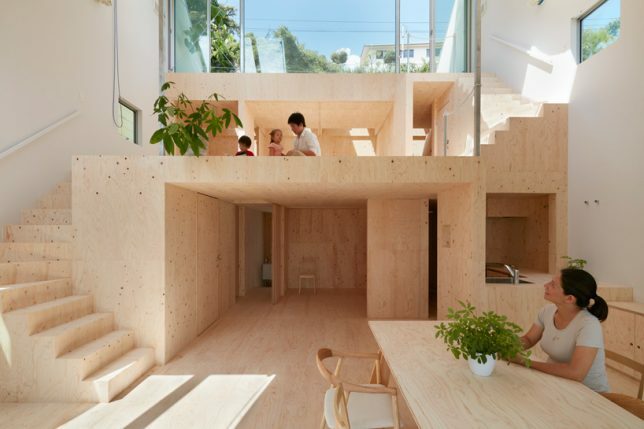 A wooden insert delineates the interior spaces, creating platforms, stairs and small rooms, so the residents can enjoy varying degrees of daylight and privacy. 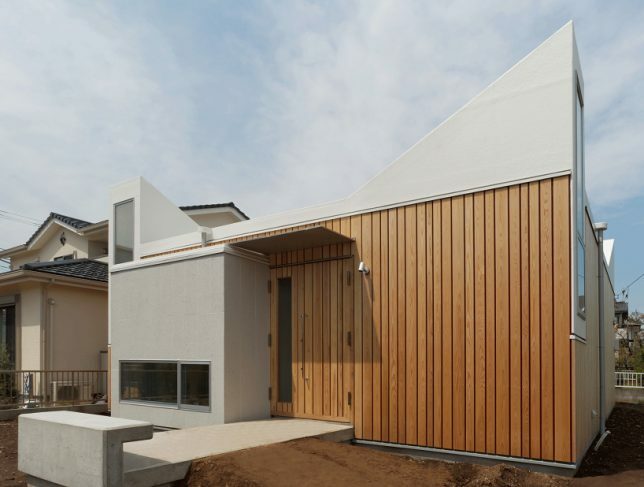 Four ‘ears’ sticking out of the roof of this house act as daylight catchers for the interior, keeping it from becoming too dark for a client who wanted maximum privacy. 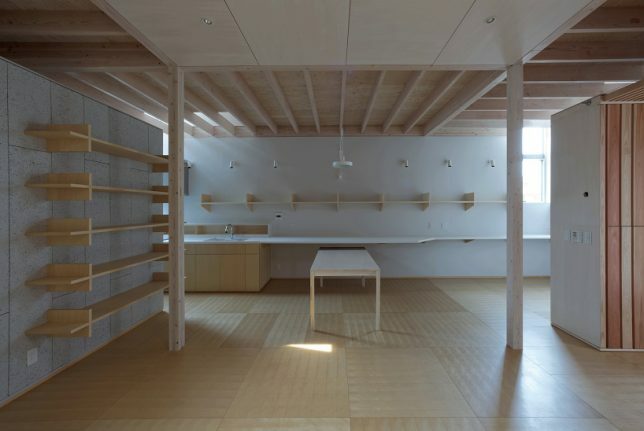 The home is set up to be wheelchair-accessible with space for gardens and parking spots for two cars while staying at a single story for earthquake protection, all on a small budget. 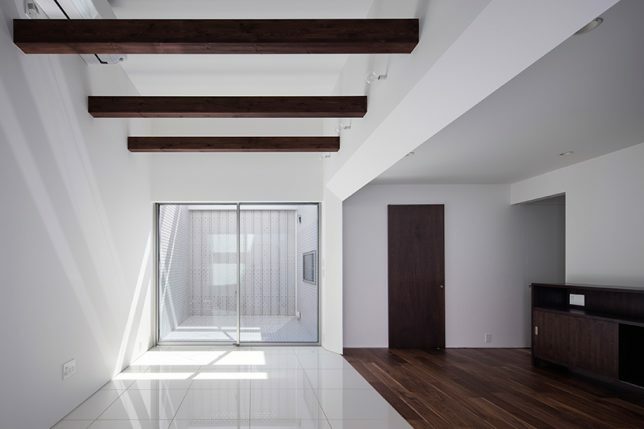 The four vertical windows allow daylight to diagonally penetrate the home, blocking views of the interior from outside while enabling views of the sky from within. 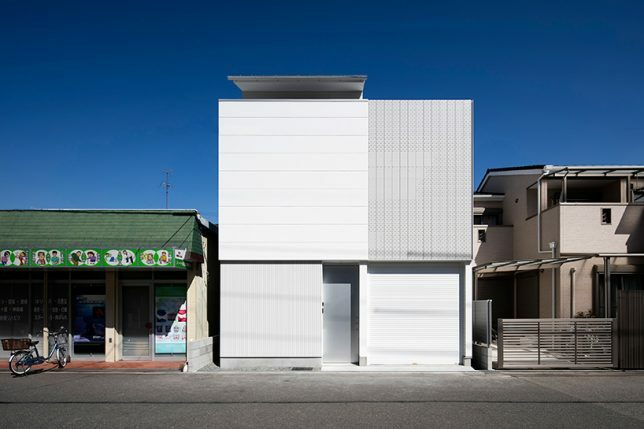 Soundproof walls and one big window facing the sky protect this home from noisy neighbors and a busy street. 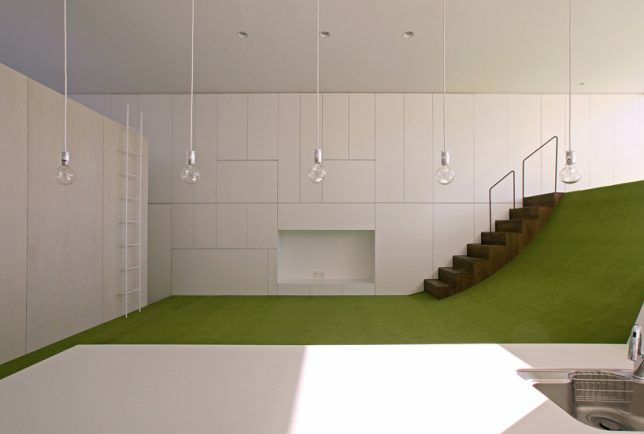 Mitsuharu Kojima Architects came up with the highly unusual solution of a curving, green carpet-covered floor that gently slopes toward the wall of windows. 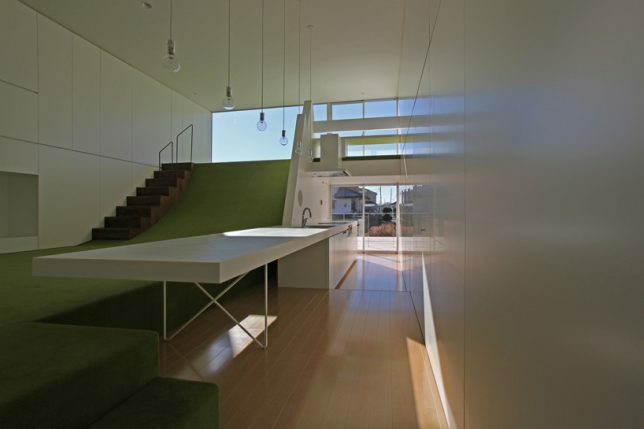 The residents can choose to move their furniture around this space freely, lounging in the sun or staying in the shade. 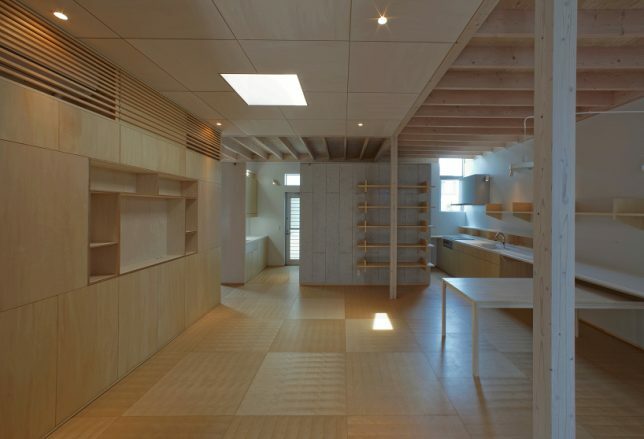 Storage is built into two walls full of cabinets and hidden rooms on either side, including loft-like lounge spaces. 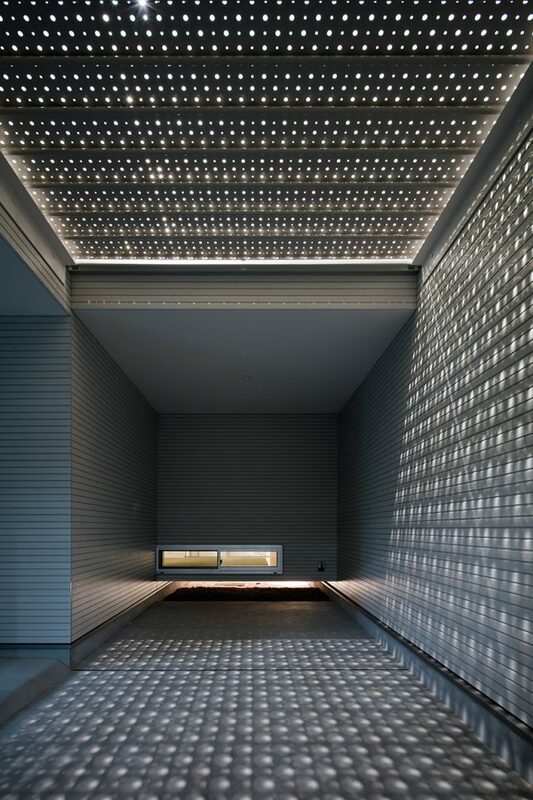 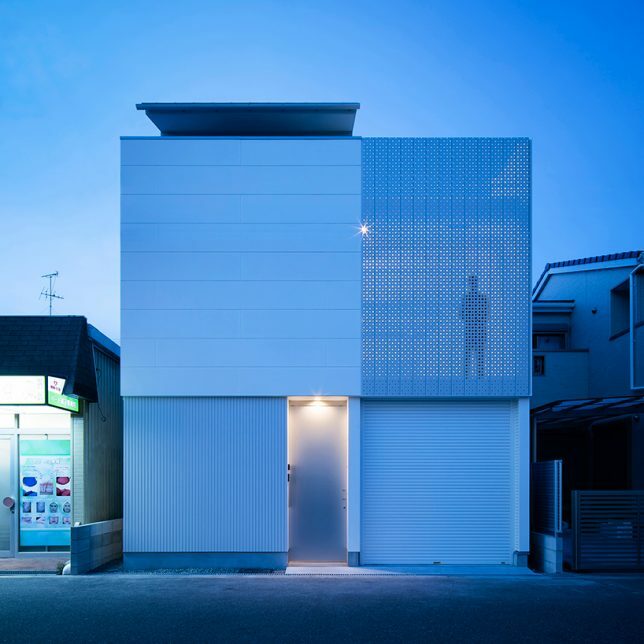 A perforated steel facade lets little dots of light into the otherwise windowless front of this home in Osaka by Yoshiaki Yamashita. 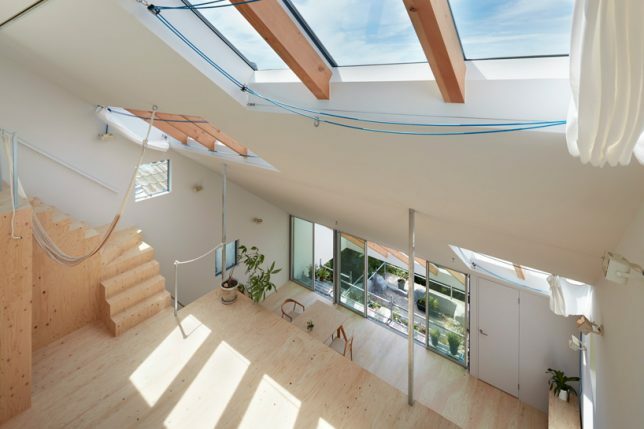 The clients, a young couple with a child, wanted natural light and ventilation as well as a high level of privacy. 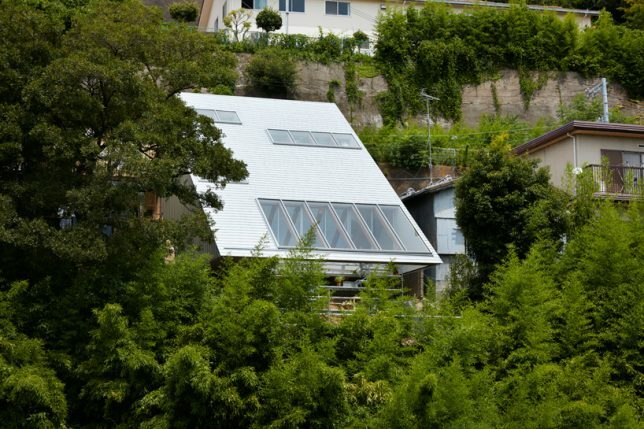 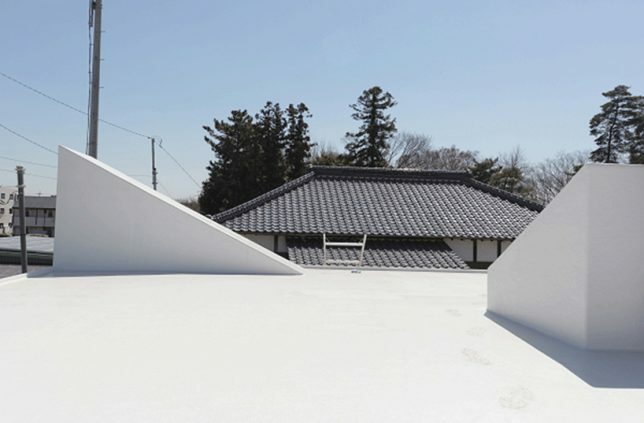 Two external terraces hidden within the outer envelope of the house act as giant skylights for the middle level, where the living space is located.